I promise I'm still around, haverim. Things have just been a little challenging lately. We're dealing with some major transitions at Beit Stein, including the start of my doctoral program among others. 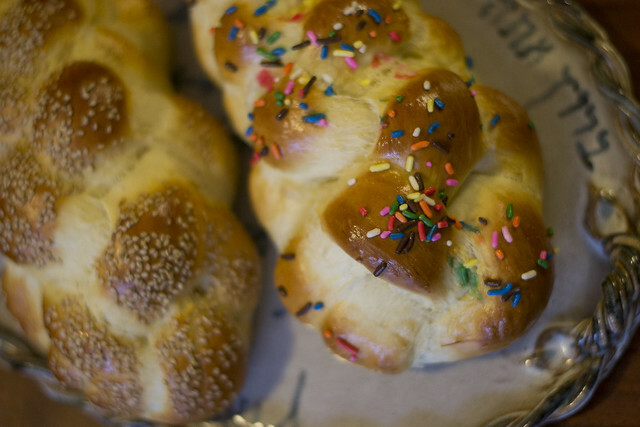 We promise, we're still around and still making challah. But we've just been so uncreative lately. With the craziness of the holidays and starting a PhD program, plain, basic, delicious regular old challah is all that's been acceptable in our house. Any ideas for some new recipes? Request for clarifications on old favorites? 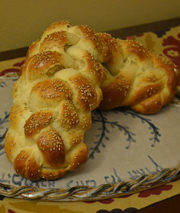 It's TOUGH to make a new recipe every week... failing a few times has taught me NOT to just make new recipes for the heck of it, but make them because I truly want to get creative with challah. So, bear with us. Stay tuned. Don't take us out of your Google Reader yet. We're still here. Today is The Hazz's birthday. 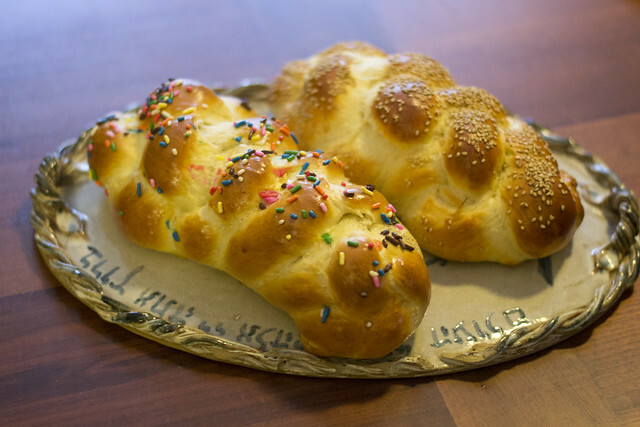 Besides a cake and mac n'cheese (which I think he agreed to partially because I like it), he gets sprinkle challah. Because he's just that awesome.